Nikolina's research delves into the historical dimensions and theoretical concepts to do with spatial violence and control – how these notions manifest at the complex intersection of architecture, urbanism, military, media, economics, technology, literature and film. She has written on matters to do with the aftermath of reconstruction; spatial history of war, media, and technology; to, the politics of identity-construction of former Yugoslav cities. 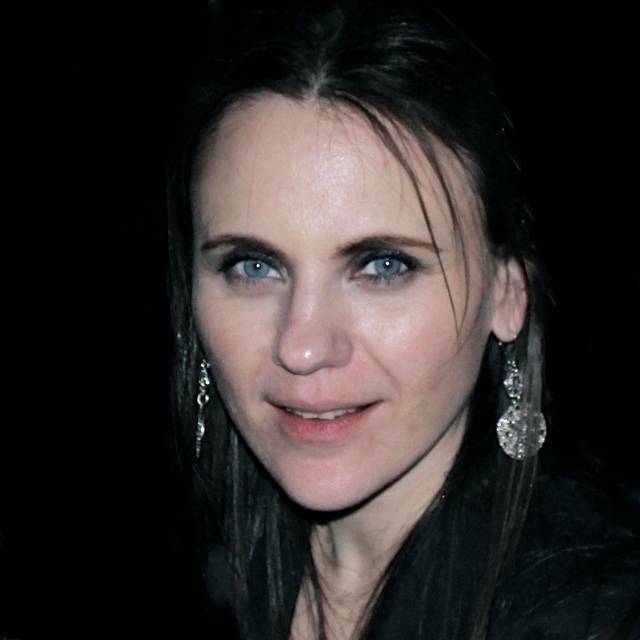 Nikolina is the author of Balkanization and Global Politics: Remaking Cities and Architecture (Routledge, 2019). At present, she is the co-convener of Political Matters: Spatial Thinking of the Alternative conference (Auckland, NZ - July, 2019), and co-editor of the forthcoming Interstices: A Journal of Architecture and Related Arts thematic issue publication - 'Political Matters' (February, 2020). Prior to joining the University of Plymouth as a Lecturer in Architecture, Nikolina taught Architecture and Sociology at the University of Sydney, the University of New South Wales and the University of Technology in Australia. Her industry experience is in high-end residential architecture. The predominant concentration while working as an architect was on exploring and exploiting the interface between internal and external spaces, the means by which were addressed through materiality and a close consideration of the context. The University of Plymouth, UK. PhD - Doctor of Philosophy (Architecture). Bachelor of Architecture – Honours Class 1. Bachelor of Arts – Major in Sociology. The University of New South Wales, Australia. Australian Postgraduate Award (APA) to support PhD studies ($AU22,500/annum; total: $AU90,000). The University of Sydney Top-up Grant ($AU5,000/annum; total: $AU20,000). The University of New South Wales U/G Entry Scholarship ($AU2,000). Fellow of the Higher Education Academy, UK (FHEA). Registered Architect, New South Wales, Australia (NSWARB 8077). Project and Assistant Architect in high-end residential architecture. Virginia Kerridge Architect (VKA), Sydney. New 3 storey House in Bondi (2004 – 08); Alteration / Addition to a Heritage Terrace in Elizabeth Bay (2006 – 08); Alteration / Addition to a House in Bronte Beach (2006 – 08). Alteration/ Addition to a House in Bronte (2005 – 08); New House in Kingscliff (2006 – 08); New Cottage and Farmhouse in Hunter Valley (2007 – 08); Alteration / Addition to a House in Coogee (2006 – 07); New House in Bronte (2005 – 06); Alteration /Addition to Kerridge House + Apartment (2004). European Architectural History Network (EAHN). Architectural Humanities Research Association (AHRA). Society of Architectural Historians Australia and New Zealand (SAHANZ). New South Wales Architects Registration Board (NSWARB). Lecturer in Architecture. Plymouth University, UK. Critical Context - Yrs 1 and 2. Marjan Saberi - 'Behind Closed Doors: A Practice-led Inquiry into Women's Domesticity in Mashad' (anticipated completion: late 2020) - 2nd Supervisor. Design Praxis - Yrs 1, 2 and 3. Critical Context - Yr 3. Emerging Research in Architecture - Masters Yr 2. Urban Methodologies - Masters Yr 1. Re-Thinking Architecture - Masters Yr 2. Academic Staff in Architecture and Sociology. The University of Sydney, Australia. Design Studio - Yrs 1, 2 and 3. Architectural History and Theory - Yrs 2 and 3. Architectural Communications - Yrs 1 and 2. Architectural Technologies - Yrs 1 and 3. Sociology of Terror - Senior Level. Urban Sociology - Senior Level. Academic Staff in Architecture. The University of New South Wales, Australia. Design Studio - Yrs 1 and 2. Architectural History and Theory - Yr 2. Architectural Communications - Yr 1. Academic Staff in Architecture. The University of Technology, Australia. Design Studio - Yr 2. Power and politics of discipline and control. ‘Green Desires – Rethinking Sustainability’. Faculty of Architecture, Design and Planning. The University of Sydney, Australia. ‘Political Aesthetics: Forming Fact and Fiction’. Postgraduate Research Visions Exhibition [solo piece as part of group exhibition]. Biennale in Venice - Australian Abundant Pavilion. (made a model that was exhibited for Virginia Kerridge Architect stand - VKA, Sydney). - Temporal Formal as part of the ‘Expanded Architecture’ in Sydney, Australia, 2014/15. - Perception in Architecture. Here and Now at ANCB the Metropolitan Laboratory in Berlin, Germany, 2014. 'Political Matters: Spatial Thinking of the Alternative,' Interstices: A Journal of Architecture and Related Arts 21. (thematic issue – co-edited with Farzaneh Haghighi; set for publication in February, 2020). ‘Re-negotiating Balkanism: Body De-stabilised in Belgrade’s Republic Square,’ Translation – Proceedings from the 31st Annual Sahanz Conference, Auckland (New Zealand), 213 – 223. ‘New Belgrade and the Park of Friendship: Politicisation of Landscape and History.’ In Architecture, Politics, Art. Dakam Press: Turkey, 62 – 77. ‘Balkanising Myths: Historical (Re)formations of New Belgrade,’ Open – Proceedings from the 30th Annual Sahanz Conference, Gold Coast (Australia), 299 – 312. ‘New Belgrade’s Park of Friendship: Mobilizing Leisure,’ Fabulation: Myth, Nature, Heritage – Proceedings from the 29th Annual Sahanz Conference, Launceston (Australia), 111 – 123. ‘Songs Sustained Us: Theorizing NATO’s ‘Humanitarian’ Targeting of Belgrade,’ in Theory of Architecture, Dakam Press: Turkey, 345 – 361. (Note: paper is co-written with Glen Hill). ‘Multipetal Difference of Balkan(ization): Weizman’s Boundaries,’ Inclusion and the Space of Difference - International Association for the Study of Traditional Environments, 1 – 16. ‘Kristeva’s Abject(ions): the Generalstab and Chaotic Becomings of Belgrade,’ Imagining...– Proceedings from the 27th Annual Sahanz Conference, Newcastle (Australia), 46 – 61. “Transition and Control: Urban Development of NewBelgrade’s Blocks 17 and 18,” International Conference on Cities and Change: Three Decades ofPost-socialist Transition (1989-2019), Darmstadt (Germany), 17-18 May (forthcoming). ‘Belgrade: Reconstructing Balkanism, Reconstructing Rights,’ 8th International Conference on Building Resilience, Lisbon (Portugal), 14-16 November. ‘Architecture, Spatial Violence and Social Control,’ School of Sociology - UoP, 29 November. ‘(De)stabilising History: Event as anOperative Tool of Power,’ Architecture, Festival and the City - 14th AHRA conference at Birmingham CityUniversity,’ Birmingham (UK), 16-18 November. ‘Transgressing Flattening,' Transgression – Abstract from the 10th International AHRA Conference, Bristol (UK). ‘War, violence and control: De/re-modernisation and de/re-territorialisation through infrastructure,’ Between Architecture of War and Military Urbanism – Abstract from the 10th Urban and Landscape Days, Tallinn (Estonia). ‘Control and Counter Control,’ Abstract from the Collaborative Struggles Symposium, Wollongong (Australia). ‘The Life and Death of Public Architecture,’ Review of the Sydney Architecture Festival, Sydney (Australia). - legitimacy of art as evidence.